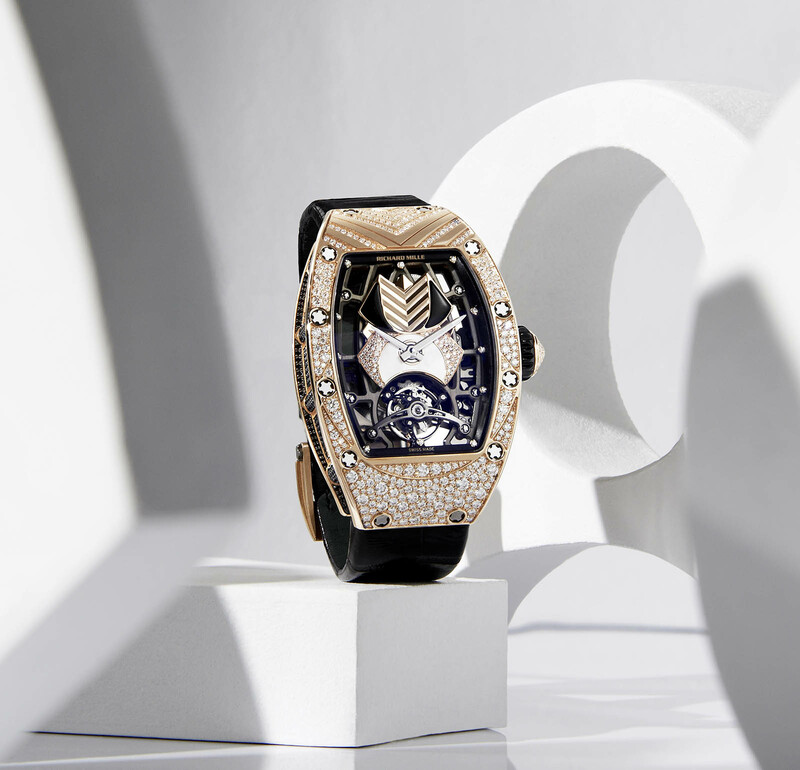 Women’s watches have been crucial to Richard Mille, having been amongst the first to enter the segment with highly technical styling in the form of the RM 007 back in 2005. The new RM71-01 Automatic Tourbillon Talisman marks the pinnacle of the range. 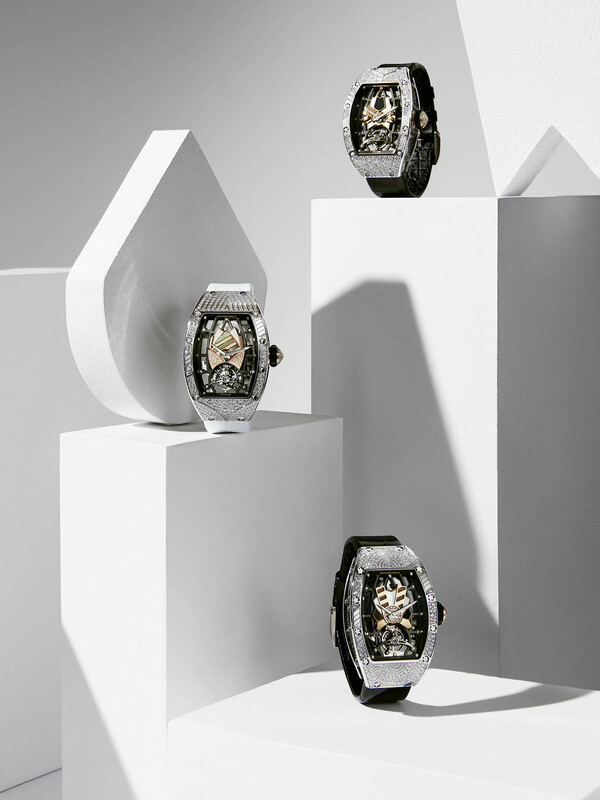 While the ladies’ watches of Richard Mille have been met with great success in the past, they were always designed by men. 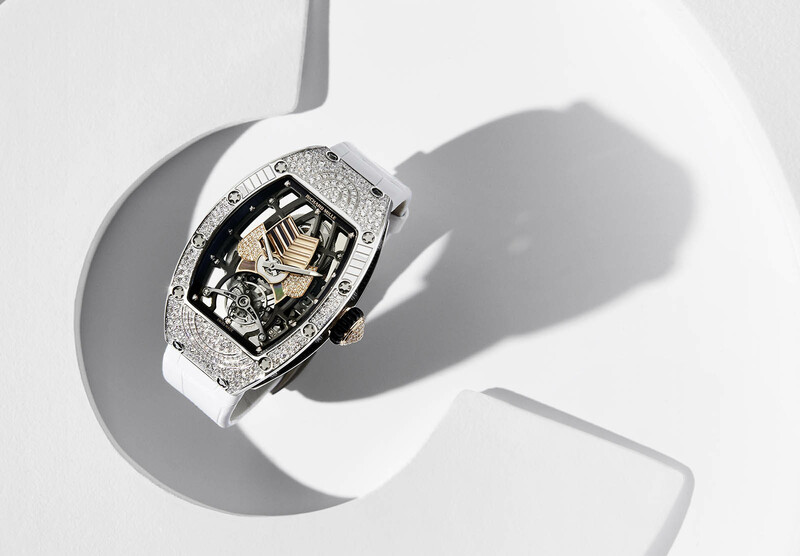 A heady yet nuanced timepiece, the RM71-01 is the first Richard Mille watch designed by a woman – Cécile, daughter of Dominique Guenat, Mr Mille’s business partner. 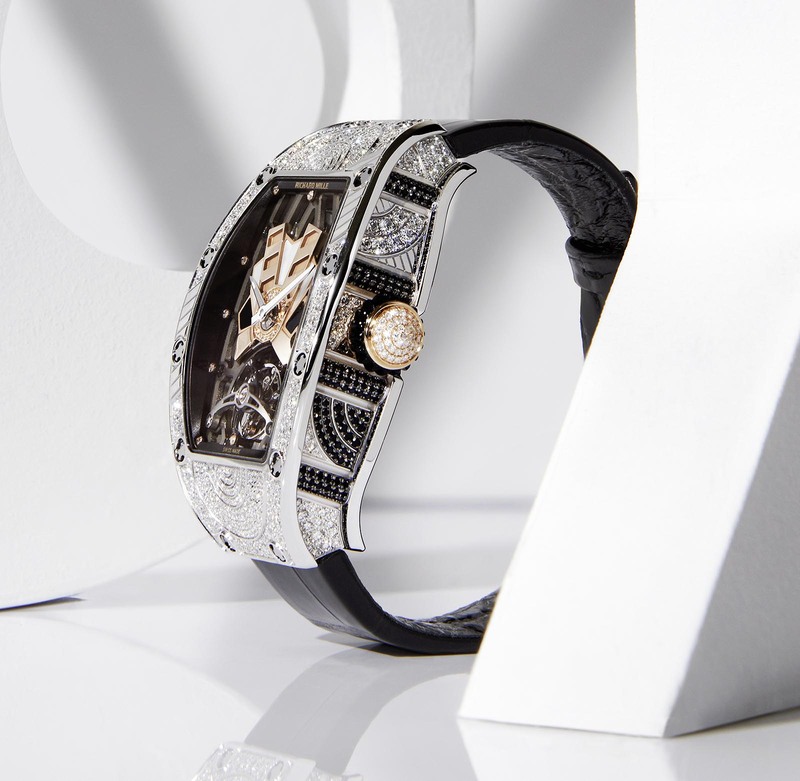 Now the Ladies’ Collection Director at Richard Mille, Ms Guenat in 2015 in the brand’s jewellery department, after a spell at a British jeweller, creating collections for couture houses. 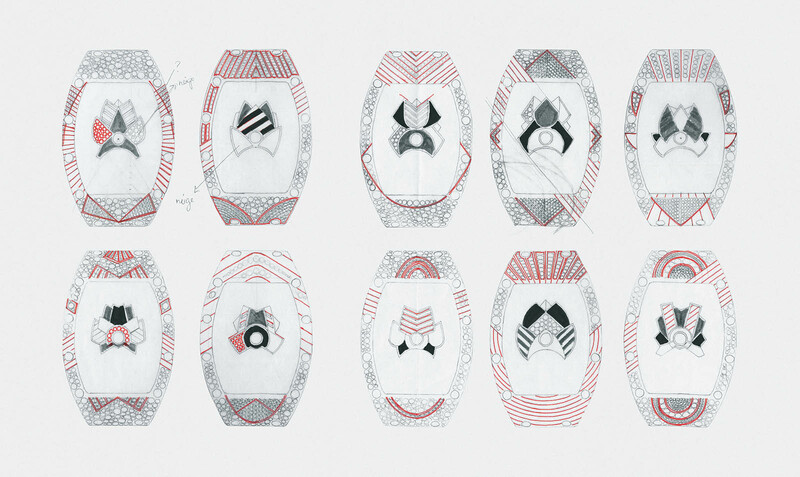 Ms Guenat’s creation is inspired by Art Deco and tribal art, explaining the geometric motifs on the case and dial. The case decoration is the result of a two-step process: the motif is first stamped and then adorned with snow- or grain-set diamonds. The banded motif is echoed in engraving on the case back. While the case form is reminiscent of the RM 007, the RM71-01 is slightly larger at 34.4mm wide and 52.2mm long. The complex dial plate is made of red gold and measures a mere 0.9 mm in height. 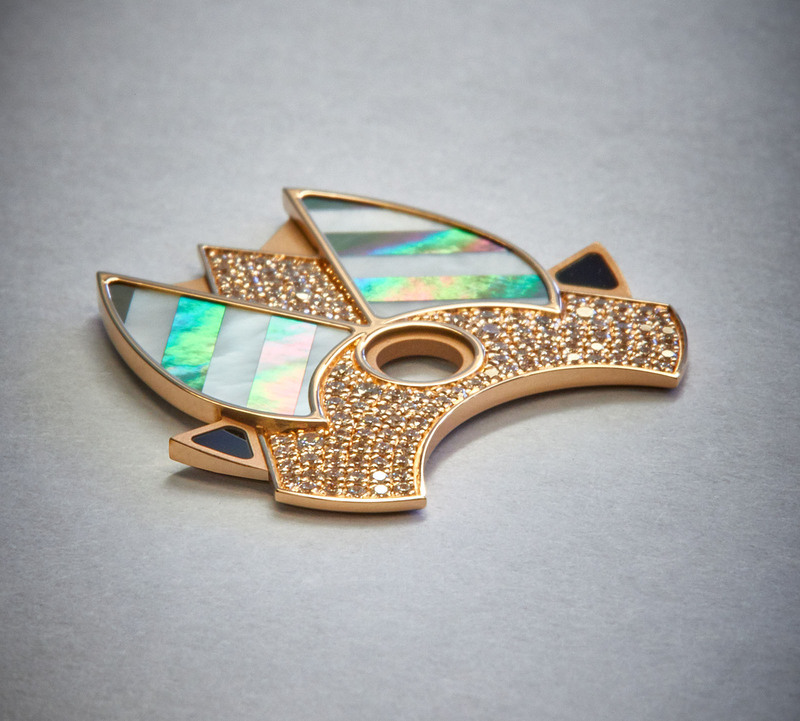 It’s inlaid by hand with mother-of-pearl, onyx and diamonds, creating a beautiful interplay of lines and textures intended to evoke tribal artefacts and tiaras. But the RM71-01 is not just a jewelled timepiece, it also marks the debut of Richard Mille’s first in-house automatic tourbillon movement, the cal. CRMT1. 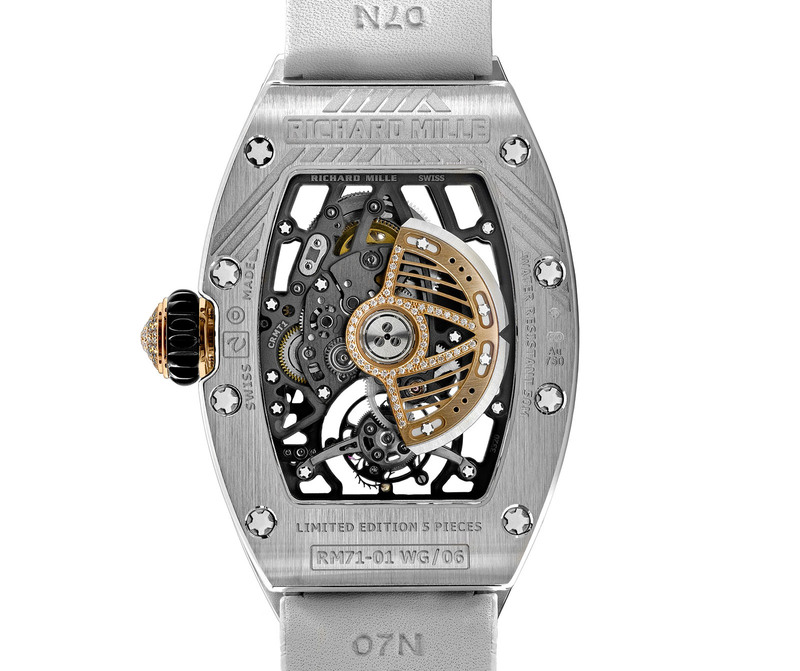 With bridges and baseplate made of titanium, the skeletonised movement weighs a mere 8g. Like many Richard Mille calibres, it’s equipped with a “variable-geometry” rotor, that can be adjusted to wind at a rate suited to the wearer’s physical activity. Despite being just 6.2mm high, the CRMT1 withstands shocks up to 5000G. The caliber offers a 50-hour power reserve. The RM71-01 is available in 10 different dial and case designs, each limited to 10 pieces. While they all share similar styling, they vary in the number, shape and size of the precious stones. All are also available with newly developed ostrich or embossed grained leather straps with black Velcro closures. 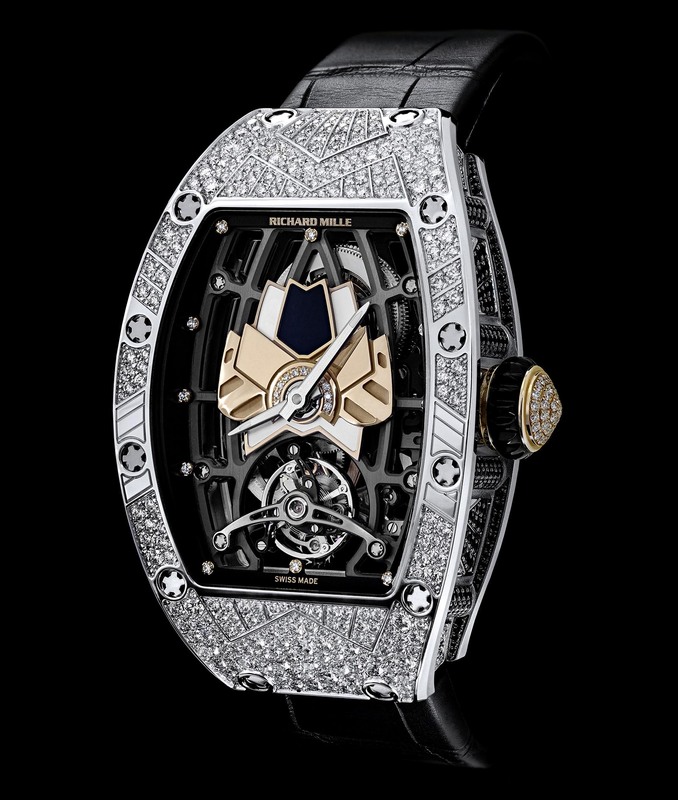 The RM71-01 Automatic Tourbillon Talisman is priced at SFr400,000.